Avencore Carbon Series 10m DisplayPort Active Optical Cable (Supports Ultra HD 8K@60Hz) + FREE SHIPPING! Active Optical DisplayPort Cables are the only way to do 8K@60Hz and 4K@120Hz over 5m! You're looking at Australia's most advanced 8K DisplayPort Cable! Go beyond the limitations of traditional DisplayPort cabling with a hybrid fibre solution. Avencore Carbon Series DisplayPort Active Optical Cables offer true HBR3 throughput at lengths beyond the ability of traditional copper DisplayPort cables. With stunning, future-proof 8K@60Hz and 4K@120Hz support, you'll be gaming at the best possible resolutions throughout the next generation of games and gaming hardware - without any limitations on the lengths of your DisplayPort cables! Supporting all DisplayPort v1.4 features including MST, DSC, 3D, HDR and CEC as well as DP++, DPCP, HDCP, and up to 16-bit colour depth, the Avencore Carbon Series DisplayPort AOC solution is the perfect partner for all levels of display from at-home gaming through to professional graphic design and presentation A/V. 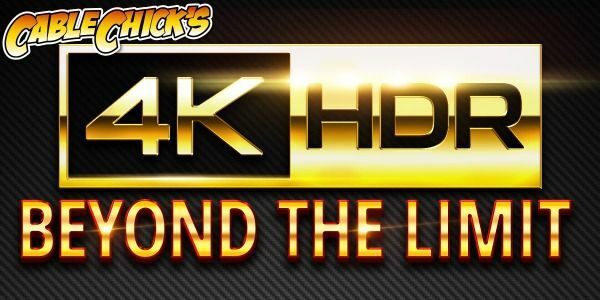 The rapid surge to 4K standardisation for both home theatre and computer systems has left muddy waters when it comes to cable lengths, with uncertain limits on where Ultra HD resolutions can fail. But with Avencore's Active Optical Cables, you can eliminate uncertainty and enjoy much greater freedom when installing displays. By using a set of OM3 fibre optic cores, these exceptional cables are impervious to electromagnetic interference and retain maximum bandwidth over all lengths - even up to 32.4 Gbps on 8K duties. Unlike other optical cables, the Carbon Series needs no external power of any kind and can work with all DisplayPort based systems without any special requirements. With full DisplayPort v1.4 hardware compatibility, you'll retain the features critical to any task over any length. High Resolution HDR imagery, Stereoscopic 3D playback, and High Refresh Rate gaming are no problem for the Carbon series DisplayPort AOC range. Installation is a breeze, too, with a 4.8mm cable diameter (25mm bend radius) and metal alloy plugs measuring 20x12x42mm, these cables are equally at home in tight spaces as they are in VR head-mounted displays. And with an extended 14mm DisplayPort plug and NO locking tabs, there's nowhere they can't go. The Avencore Carbon Series DisplayPort Active Optical cable range is the ultimate in DP cable technology for the 4K era and beyond. If you've ever had to compromise on equipment placement due to limited cable lengths, the Avencore Carbon Series is the key to ultimate freedom without sacrificing picture quality. Anywhere that copper cables are too short! DisplayPort Hybrid Fibre Cables have redefined themselves in the Avencore Carbon Series. These amazing, cutting-edge cables are capable of 8K@60Hz and 4K@120Hz over 50 metres, and can work with HDR content as well as other DisplayPort 1.4 features. No external power or special setup required! I was very happy with the service that was provided. It was professional and timely. I will definately use you again.